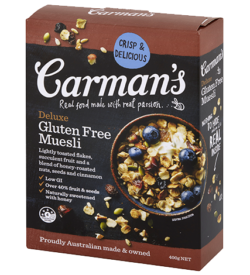 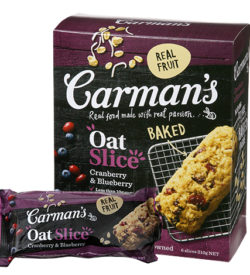 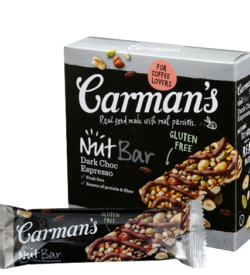 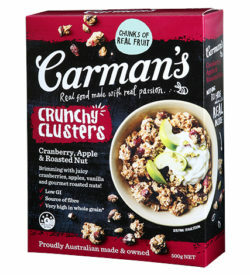 Carman’s products are made in Australia with ingredients mainly from local markets. 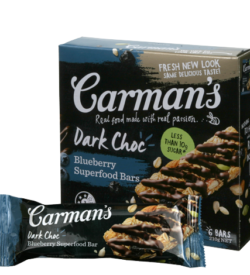 Carman’s believes that food should come from the kitchen, not the chemist. 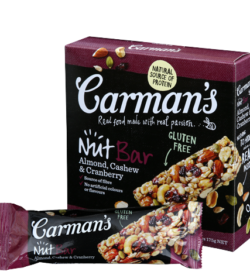 They only use natural, non-genetically modified ingredients with no preservatives or artificial colouring. 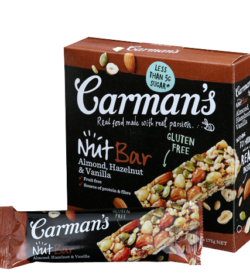 Products are also wheat-free, making them suitable for people who have allergies. 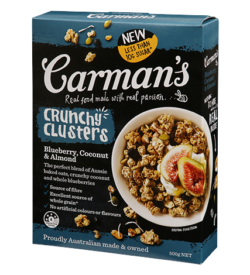 It is also certified as Low GI food – reducing the risk of heart disease and diabetes, as well as being a key to sustainable weight loss. 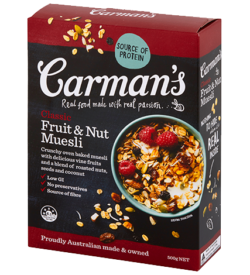 Carman’s is proud to sponsor Bowel Cancer Australia. 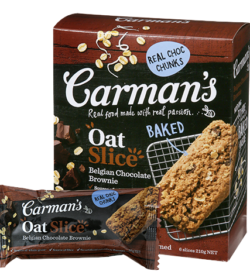 They support the Nutritional Advisory Service and Recipe for Recovery Program in order to help more people. 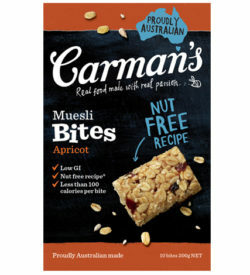 Carman’s is also a member of “Food for Trees “. 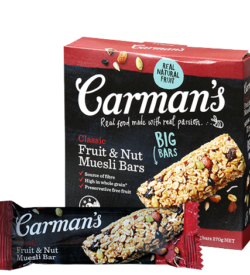 Their members are directly reducing the damage done by carbon emissions and improving the environment.